Average: minimum condition to fulfil. Warmer: if the product is designed for warmer conditions. Colder: if the product is designed for colder conditions. 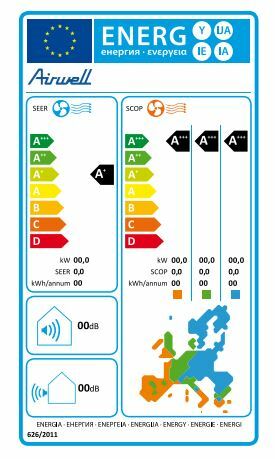 Pdesign affects directly the SEER/SCOP level as there are few tests done in cooling and heating according to the climate category and adjusting the power for each test condition. The below table shows the test conditions in cooling and heating, the ratio of the Pdesign in cooling and heating in a different climate category.